Kristie is the owner & director of KWSD. She began training at the age of seven with Betty Hayes. While at Hayes School of Dance, she trained as a dancer and a teacher. She has also trained with Ellis-DuBoulay School of Ballet, Margaret Saul, Joyce Sheitze and Eleanore Brown. Over the years, she has attended numerous dance teaching conferences including The Cecchetti Ballet Summer Teacher’s Course. 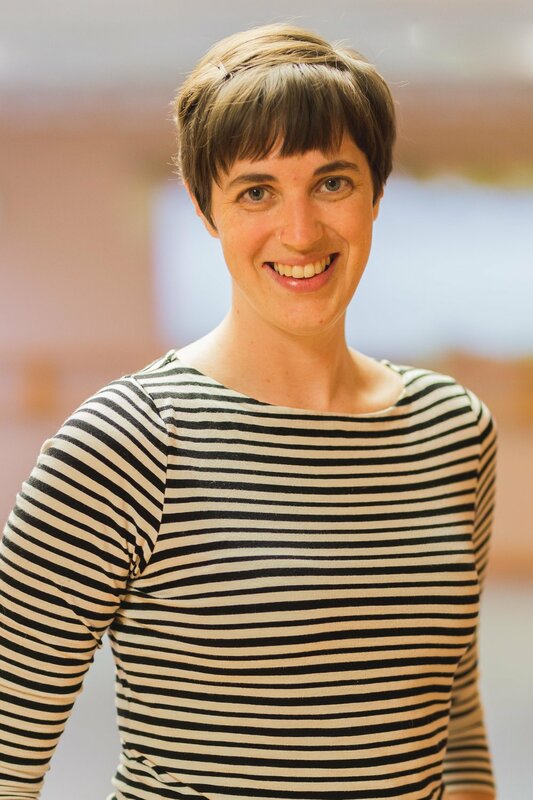 Kristie is a certified teacher member of the Cecchetti Council of America, having completed the professional level Grade 6 teacher examination. During her dancing and teaching career, she has been active in the community, doing choreography for the Junior Miss Scholarship Program, performing in and choreographing for many Kokomo Civic Theater productions and taking dance to elementary schools, retirement homes and various other organizations. Providing young people with opportunity to experience dance is one of her greatest joys. Amii began dance classes at the age of five at Jeanne Marie’s School of Dance in Illinois—and absolutely fell in love! She danced all through school and became certified through Dance Educators of America to teach tap, jazz and ballet/pointe after graduating in 1987. She then taught for Jeanne for two years before moving to Logansport to marry the love of her life, Mike McCord. She taught for Pat’s School of Dance for four years before taking time off to raise a family. In 2003 started taking dance classes with Kristie and it re-ignited a flame! She began teaching for Kristie in 2004 and quickly passed the Cecchetti teacher exams I-IV. Amii enjoys the fact that she can spend her evenings passing on her love of dance to others. Getting to listen to fun music, dance, and sprinkle fairy dust with students of all ages is a dream job! Chari found KWSD in June of 1994 when her oldest daughter Alexandra went to see a friend in the recital. When asked if she wanted to take dance Alexandra said, “Do they get to keep the costumes?” Chari answered, “Yes.” Alex followed with, “Do they get to keep the headpieces too?” She again answered, “Yes.” Alexandra replied, “I want to take dance.” Chari has been a dance mom ever since! Her four daughters danced at KWSD for 22 years and were part of the performing company nearly as many, Chari herself danced as an adult for about 10 years. In 2011, Chari became the office manager for both studios, and thoroughly enjoys sharing her love and knowledge of dance with the incoming parents and dancers. April, a Butler University grad, has taught and choreographed for studios across the nation. Originally from New Albany, Indiana, she continues to teach and choreograph at the nationally acclaimed studio DanceWorks since 1998 specializing in Ballet, Tap, Lyrical, Contemporary, & Jazz. After putting down roots in the Indianapolis area, April has also been with KWSD since 2005, teaching technique across all levels as well as choreographing for Stage Struck. Her passion for dance began when she trained at Louisville Ballet and continued as she became certified through Cecchetti Council of America passing her teacher examinations I-V. In 2009 she was an R & B Scholarship recipient and an instructor at Retter’s Academy of Dance in Agoura Hills, California, has performed with the Bridge Company in LA, was an I Love Dance Sweetheart and Scholarship recipient and won regionally and nationally as a student. Continuing her career as a teacher/choreographer she has won Choreographer of the Year at Applause Talent Productions and Kids Artistic Revue. She has been awarded Al Gilbert Tap Excellence numerous times and National Top Teacher. She continues to be recognized for her choreography with award winning routines both regionally and nationally. Dawn grew up studying dance with Kristie Wright and Betty Hayes. During that time she also studied in Chicago with Richard Ellis and Catherine Duboulay, both former members of the British Royal Ballet,. Dawn was active in the Kokomo Civic Theater, performing in “Hello Dolly,” “Oklahoma,” “Oliver” and was Assistant Choreographer in “Show Boat.” She also performed in the “Nutcracker” with the former Indianapolis Ballet Theatre. While attending Penn State University she was a member of the Orchesis Dance Company, the student dance company on campus. Dawn was a member of the teaching faculty at the Arts Conservatory of Central Pennsylvania (formerly the Ballet Theatre of Central Pennsylvania) under Andrea Hill for nine years. While at the ACCP, Dawn was involved in teaching, choreography, performances, syllabus development and was Assistant Director of the Preschool and Beginning Ballet programs. She has participated in many master classes from guest artists such as Robert Steele, Cheri Noble and members of the Philadanco, Joffrey, Harrisburg Ballets and American Ballet Theatre dance companies. Dawn attended the Teacher Intensive at CPYB and under Kristie Wright Smith has completed the Cecchetti graded Teacher Exams I-V.
Karen has studied dance at Kristie Wright School of Dance and under Betty Hayes at Betty Hayes School of Dance. She served on the board of Civic Players of Logansport for 12 years, as well as directed, choreographed and performed in many of their productions. She was the assistant coach for the award-winning LHS Dance Team for seven years and is currently the choreographer for the Logansport High School Theatre program and Junior Civic Theatre, serving on the LCT Board of Directors. Karen has taken and passed her Cecchetti Grade I, II and III Teacher’s Examinations and continues to study ballet, tap, jazz, and pointe. She currently teaches ballet, pre-pointe, jazz and tap, Cecchetti Grade I, II and III, and choreographs for Logansport StageStruck. Alison teaches many classes in the primary program. She began taking ballet lessons when she was four years old in Muncie, Ind. Upon moving to Kokomo, she studied under Betty Hayes for 10 years. Dance has helped Alison find comfort in her own skin and more confident in expressing herself. Some of her favorite memories are in a dance studio—discovering she could do things that she didn’t think she would be able to do, working with friends to make sure dances looked the best they could be, and listening to instructors tell stories from when they were young. She loves exploring rhythm through tap dancing and thrives on the structure and form that ballet provides. Magdalene teaches our modern and beginning jazz classes at the Kokomo studio. She began her dance training at the age of five with Betty Hayes, teaching younger movers by her 9th grade year, and most recently studied under Maxine DeBruyn, Alicia Diaz, and Anne-Rene Petrarca, among others, while receiving her degree from Hope College in Holland, MI. In addition to years designing and constructing costumes for dancers, Magdalene has choreographed for the Calvin (College) Theatre Company, and her most exciting dance moment was performing alongside dear friends in her own original piece outdoors in Times Square. Maggie is passionate about movement that reflects the human experience, especially in relation and response to the Divine. Ryley started dancing at the age of eleven with Miss Amii McCord. Since then she has been studying tap, jazz, lyrical, and ballet, under Miss Amii McCord and Miss Dawn Mykut. After graduating from Logansport High School, she attended Indiana University of Kokomo in pursuit of a degree in education. Ryley is in her fourth year teaching. She has found that taking on such an incredible role to students is quite the privilege—not only to get to watch students’ progress throughout the year, but to nurture and witness their creativity firsthand. Diana danced for 15 years with Kristie Wright School of Dance. She studied all forms of dance and was on the competition team for 13 years. Diana continued her dance education at Citrus College in Glendora California where she was a part of the Dance Company for two years. After graduating from Citrus College with her cosmetology license and an associate degree in social and behavioral sciences she moved back Indiana to further her education at Indiana University Kokomo. She will graduate spring 2019 with a bachelor’s degree in public communication with a minor in informatics. Diana is currently vice president of the dance troupe at IU Kokomo and is an active participant in IU Kokomo’s musical theater productions. When she returned from California, she also resumed dancing at Kristie Wright School of Dance and is coaching the Stage Struck Mini Performing group. Bridget, a senior in high school, has studied at Kristie Wright School of Dance for twelve years. For the past six years she also has been a member of the competitive dance team earning multiple awards for highest scoring dances. Bridget successfully completed the grades I through VI exams in the Cecchetti Method of Ballet and now enjoys teaching the grade III Cecchetti syllabus at Kristie’s studio. Through her time spent in dance, Bridget has studied many various genres including: ballet, tap, jazz, musical theatre, lyrical, contemporary, and pointe. Her passion for making movement and finding creative ways to express herself is the motivation for her love of dance. Stephanie loves working behind the desk at the dance studio! She has a passion to work with people and create beauty which makes serving the dancers and their families a great fit. After growing up in Crawfordsville, Stephanie graduated from Indiana State University, where she met her husband, Jerry, on a blind date. They married, had 3 children, lived in Muncie, then moved to Kokomo. Her working resume includes piercing ears; working at WIPB Muncie, the studio that recorded the Bob Ross tv series (yes, she met him! ); sign language interpreter; ministry coordinator; & tornado recovery social worker. In the past, her passion to create has led her to dance lessons, acting, singing, and dancing in school and civic musicals, learning to paint, and writing. Her passion to serve people motivated the start of a helping ministry at a large, local church. And Stephanie loves ballet! Stephanie came to Kristie Wright School of Dance 14 years ago when her daughter Katie started dance. Her daughter Lily started two years later. She has enjoyed watching the progress of her daughters and all the girls with them as they mature and improve. Stephanie has worked at the desk for 4 years and especially enjoys making the parents feel comfortable and now watching her granddaughter dance.